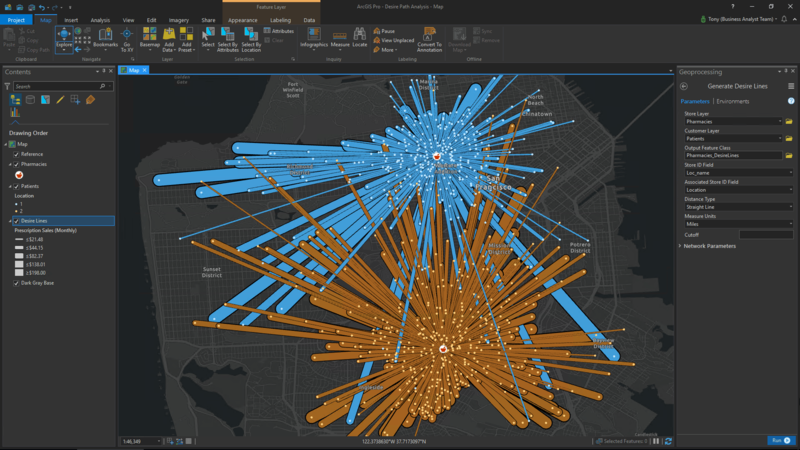 I consider myself to be a business analyst of sorts (the title, not the product), and so I thought it would be helpful to explain the four capabilities from the summer 2018 release of Business Analyst for ArcGIS Pro in a way that both business and GIS professionals can understand. 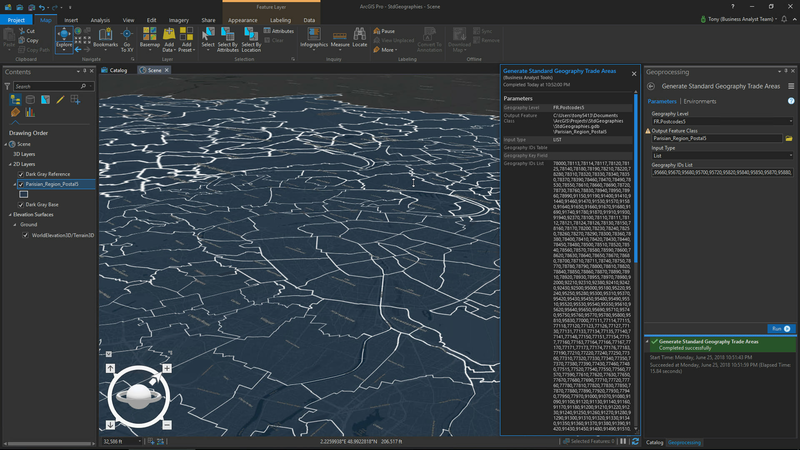 This blog quickly covers the following four capabilities in Business Analyst for ArcGIS Pro: Territory Design and management, Site Suitability Analysis, Generate Desire Lines, and Create Standard Geography Trade Areas. You can find a brief description of these tools below as well as links to their full descriptions. 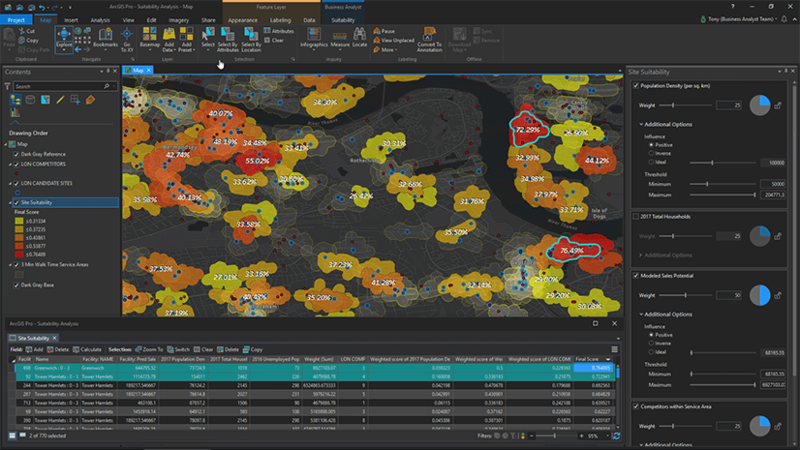 Access two new territory design and management workflows supported by seven geoprocessing tools and a set of ribbon tools. This first capability (workflow) allows users to create “auto-balanced” territories. Auto-balanced territories are those that are balanced to meet a specific set of criteria such as population, customers, businesses, students, and more. For example, a sales manager determines that she needs to create fair territories, giving team members an equal chance to meet their goals. With six team members, she can auto-balance six territories to meet the criteria that she has found to be contributors to success in the past. With the second workflow, users can interactively create and update their territories. They can modify or “fine tune” territories using a number of panel, ribbon, and map-based tools alongside attribute layers and charts. 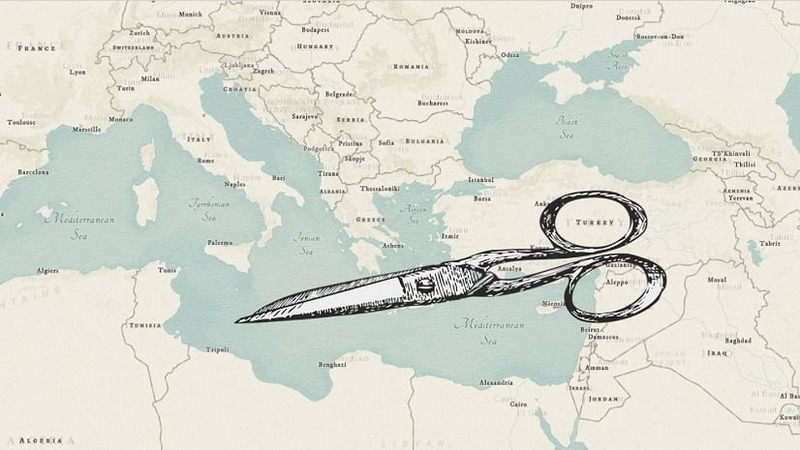 After territories have been created or updated, they can be shared as paper maps, PDFs, web maps, tables, and more! 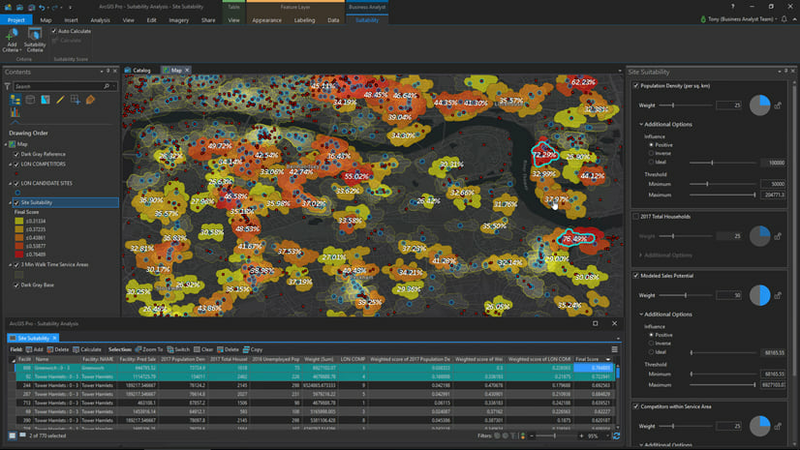 Site Suitability Analysis is a modeling workflow to interactively filter, score and rank candidate sites or areas based on multiple selection criteria. Users can even adjust criteria to watch the site scores and ranks update in real-time! Essentially, site suitability helps to determine the best place to put something based on identified criteria, whether that’s a school, business, hospital, housing development, or something else altogether. These tools are fully integrated, allowing users to share their solutions and the decision support they provide across the organization. In the recent past, it was difficult to visualize spatial relationships between entities – customers and stores, students and schools, patients and their medical providers, etc. Users can now visualize these relationships and measure the distances between each pair using the Generate Desire Lines tool. Distances can even be calculated as straight-line or network-based – like drive times, drive distances, walk times, and more. As an example, imagine a retail store owner has just opened a second location. 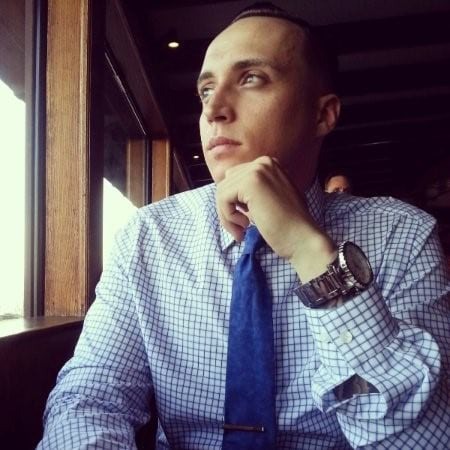 He’s interested in identifying the relationship between his customers and the stores they visit. After using the Generate Desire Lines tool, he can see that store A is taking customers from store B. Seeing that there is too much overlap, he does further research and finds that a new location for store B would solve the problem. You asked. We answered. 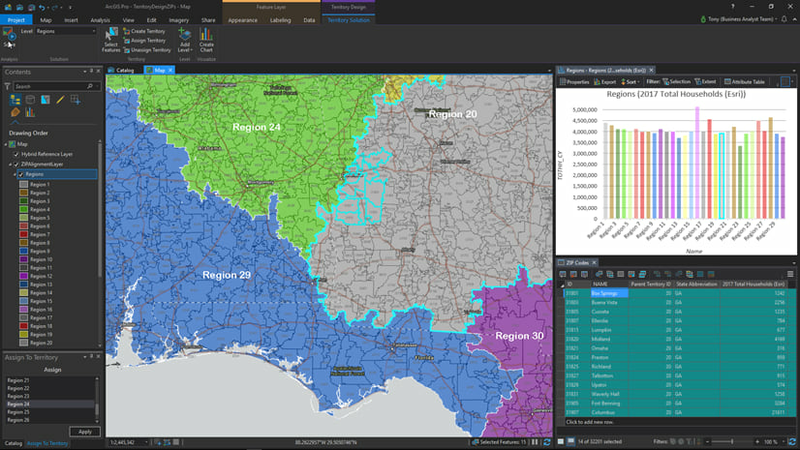 With the Create Standard Geography Trade Areas tool, users can build on-demand map layers including one or more administrative boundary features like postal codes, counties, or states. These layers can then be leveraged with other geoprocessing tools as a part of a larger workflow. 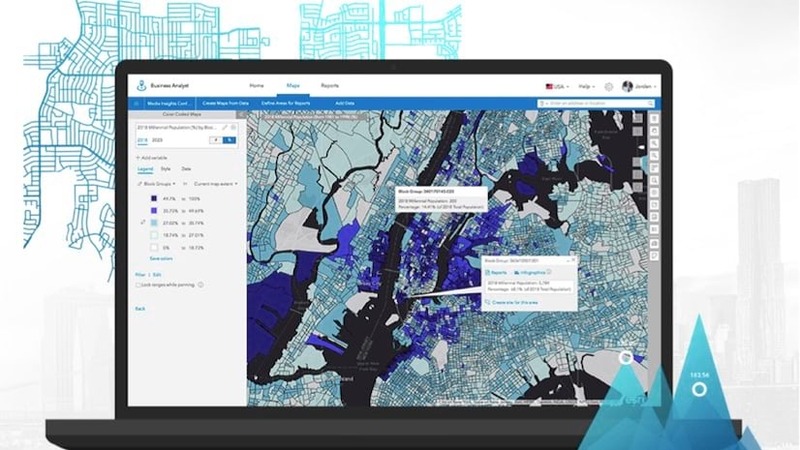 With ArcGIS Online, this tool becomes even more powerful. By connecting to ArcGIS Online, users can generate map layers from the boundary features of more than 130 countries!